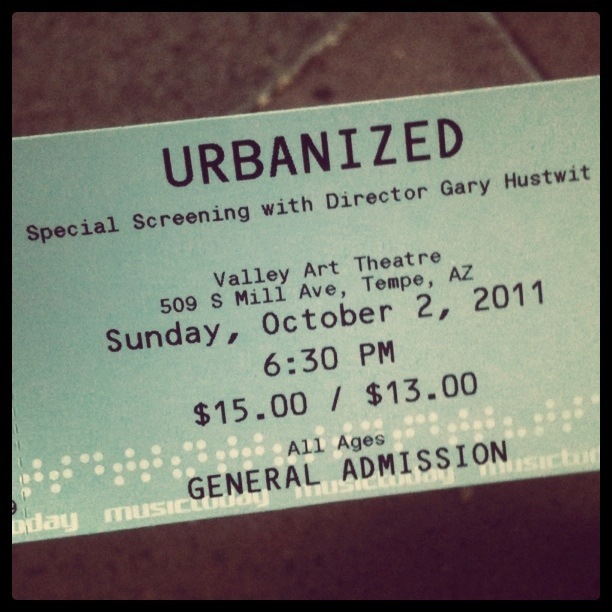 Urbanized is a documentary film by Gary Hustwit that explores several cities, and the positive and negative differences of each location's urban design. Architects, mayors, public officials, city planners, and citizens share their opinions about the direction of city-wide development, and discuss the challenges of overpopulation, density in low income areas (slums), urban sprawl (hello, Phoenix) and the rise and fall of large cities from natural disaster or economic downturn. When my coworker Omar found out that the director's 40-city screening tour was stopping in Phoenix for one night, we knew we had to go. 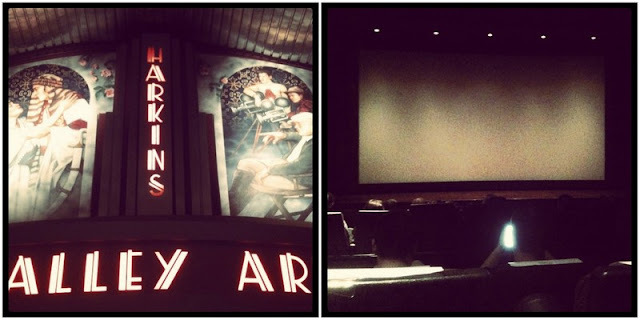 The film played at the first Harkins theatre in Arizona, which is now reserved for indie flicks & special events like this one. The director spoke allowing for many of the audience members to ask questions after the movie was over, and it was interesting to hear a local's take on how Phoenix was represented in the film. Of course some people got a little fiesty, but most of us were just there to enjoy a great documentary and some popcorn. Hipsters unite. Check out Gary's/Urbanized tour dates, and go if he's stopping in your city! This project was especially interesting to me, not only because this movie was a follow up to Helvetica (gush. ), but because much of the funding came from kickstarter investors from around the world. In addition, many people were able to purchase movie tickets to see the film in theaters, before the movie was created, which helped bring it to life. So cool & inspiring to the dreamer inside me! Oh I wish I could go to this! Hahahaha yes Kara, you better hurry up and see it!